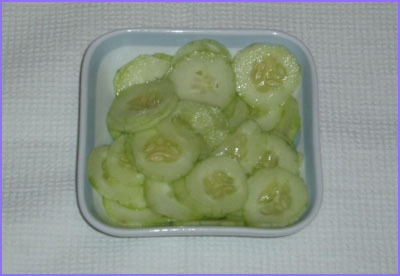 Take about 100 grams of fresh cucumbers, (diameter approx. 5 cm), and slice it into thin slices, approx. 1-2 mm thick. Add salt if necessary and mix well.